This post includes affiliate links. Thanks for sour support. 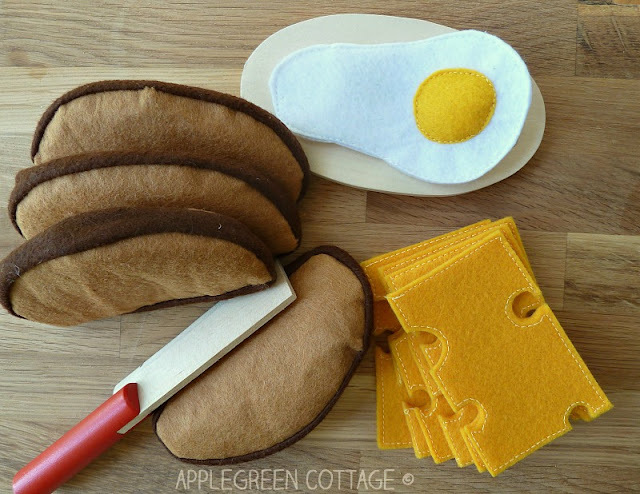 And since felt is easier to sew with than fabrics, beginner sewing enthusiasts will love this idea! 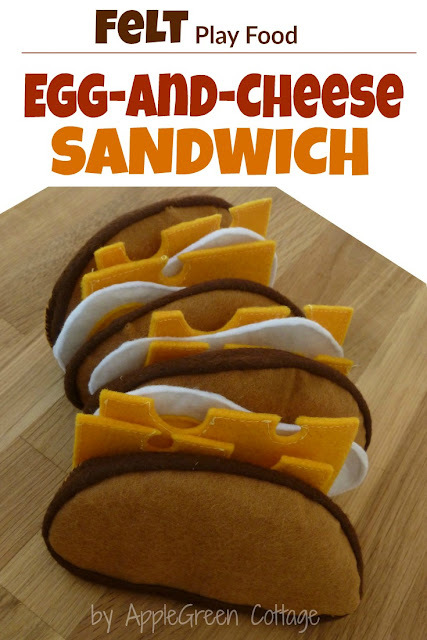 Now, do you want to make a felt sandwich all by yourself? Look how easy it is! Bon apetit! 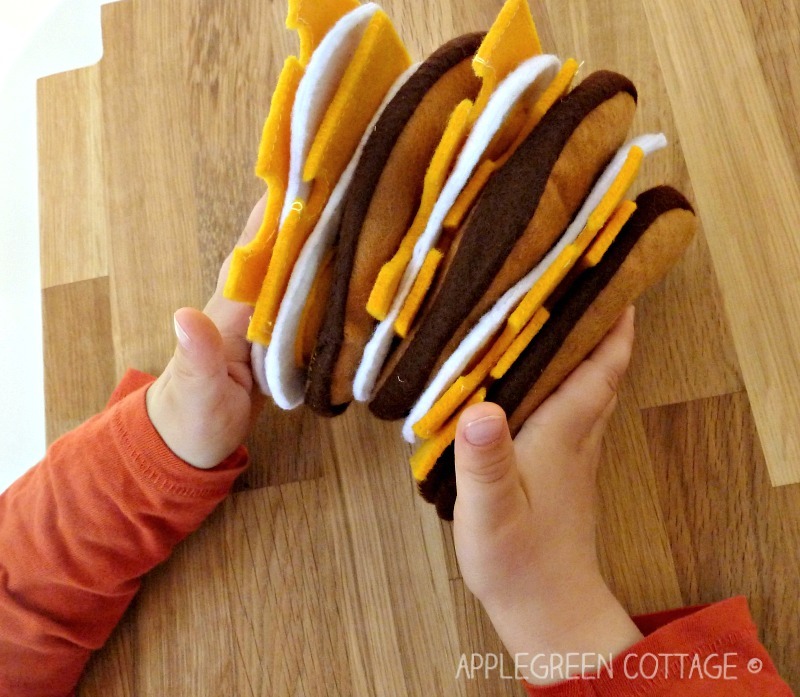 See, even a 3-year old can do that! You'll have a blast making these! 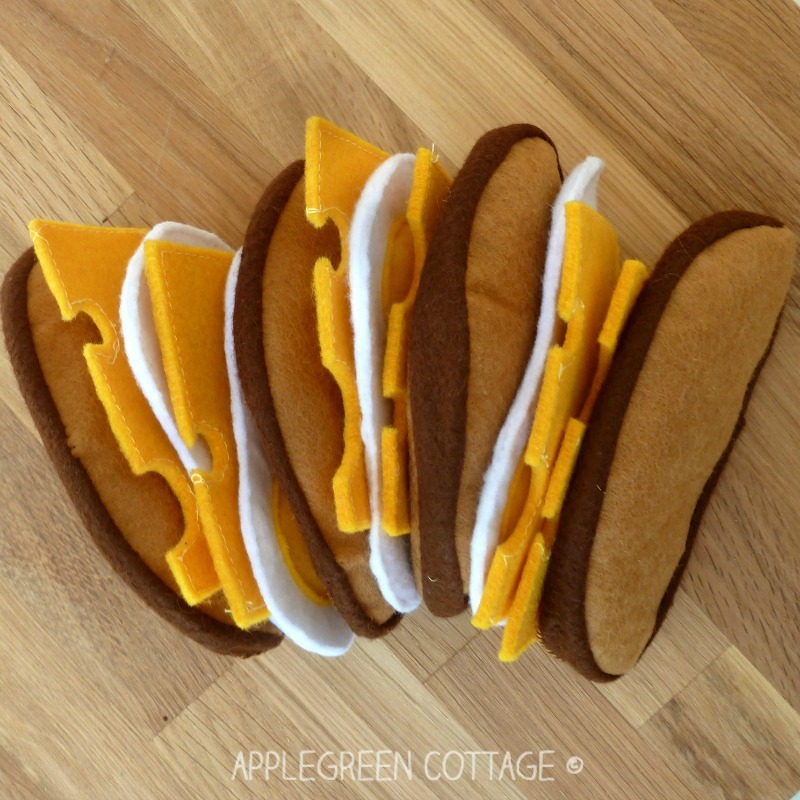 And if you'd like to make bread loaf slices really quickly, you can get my free pdf felt bread template in my FREEBIE Resource Library. 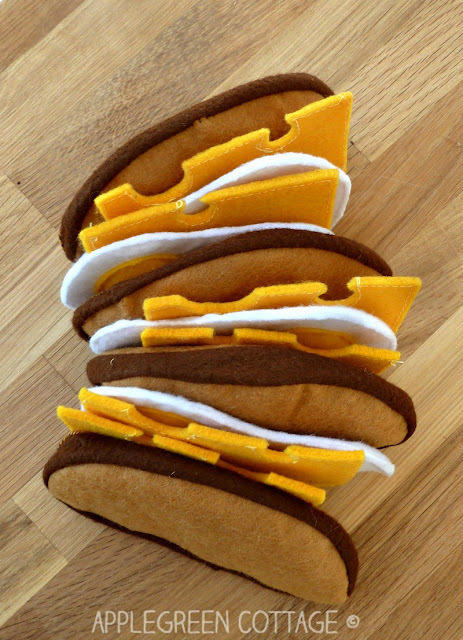 You can combine felt bread slices with some other felt food, like bacon stripes, tomatoes, even carrots, broccoli and tons of other felt food. 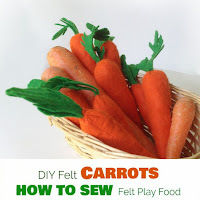 Wouldn't this felt collection make a wonderful DIY present for a child? 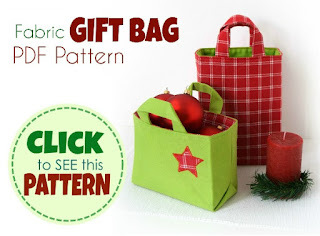 Or ...go straight to one of my currently most popular PDF patterns - the gift bag pattern. 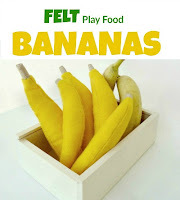 6 formats and sizes for your play felt food collection! L O V E !!!!!! Haha, Maja thanks! Thanks for dropping by! 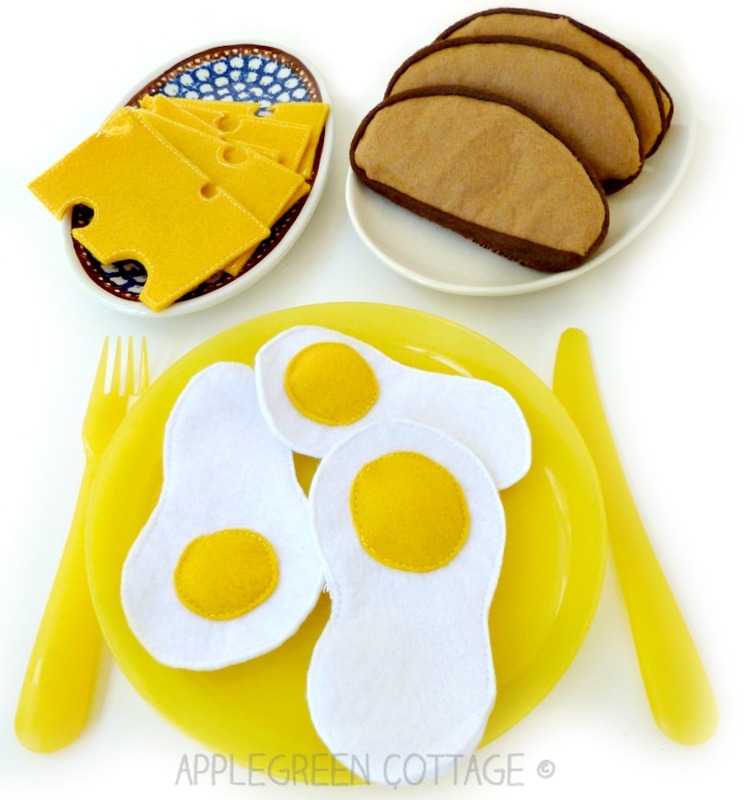 Just a fun idea: a felt play food set like this one could sell well at your Etsy shop - it would make a perfect Christmas gift for kids!